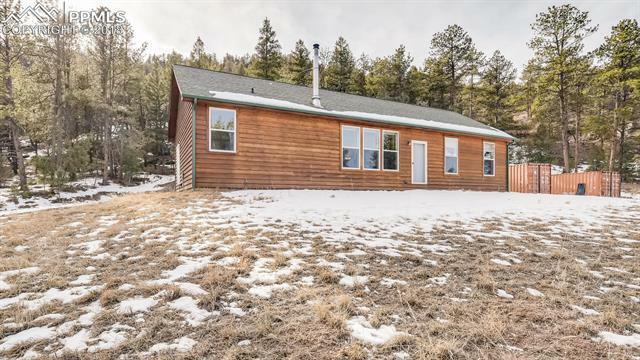 Nicely appointed 3 bedroom ~ 2 bath ranch-style home on over 22-acres conveniently located just off paved County Road 11 south of Florissant. Featuring beautiful views from both inside and out of the Four Mile valley along with Pikes Peak and Mt. Pisgah. The Master Suite is oversized with an adjoining bath featuring a jetted tub and separate shower. Hardwood bamboo flooring is found the kitchen and dining area. A wood burning stove in the Living Room provides additional comforting heat.